Accessory Addiction, Add the Bling, Essentially Yours, Miscellaneous, Shopping Spree, Surprise Me! No matter what people say, our feet are seldom a priority. But, don’t they deserve a lot better? Today we’re talking about happy feet and making them more merrier by accessorizing them. Many people are of the opinion that our feet don’t catch much attention, reason being they are the lowest part of our body and people rarely tend to notice them. This myth has to break as we know for ourselves that yes, we do notice. It is said that your physical features say a lot about your personality but whether you believe it or not, who doesn’t want beautiful feet? So, how do we know we got it all right about feet accessories? For the love of our feet or our beliefs, let’s get started on how to accessorize our feet the right way! It’s a crucial question. The choice of gold or silver is often less prioritized but in case of feet accessories, well, this comes first. While Silver looks really good on any kind of outfit, be it traditional or contemporary, gold has a pretty warming old school charm. Try on different feet accessories, as a new fun thing to do or just like that, and figure out yourself which metal suits you the best before buying any accessories for your feet. We all know about the basic feet accessories, obviously as there are not so many players in the field. But we can still find ways to wear them differently and one such way is layering. 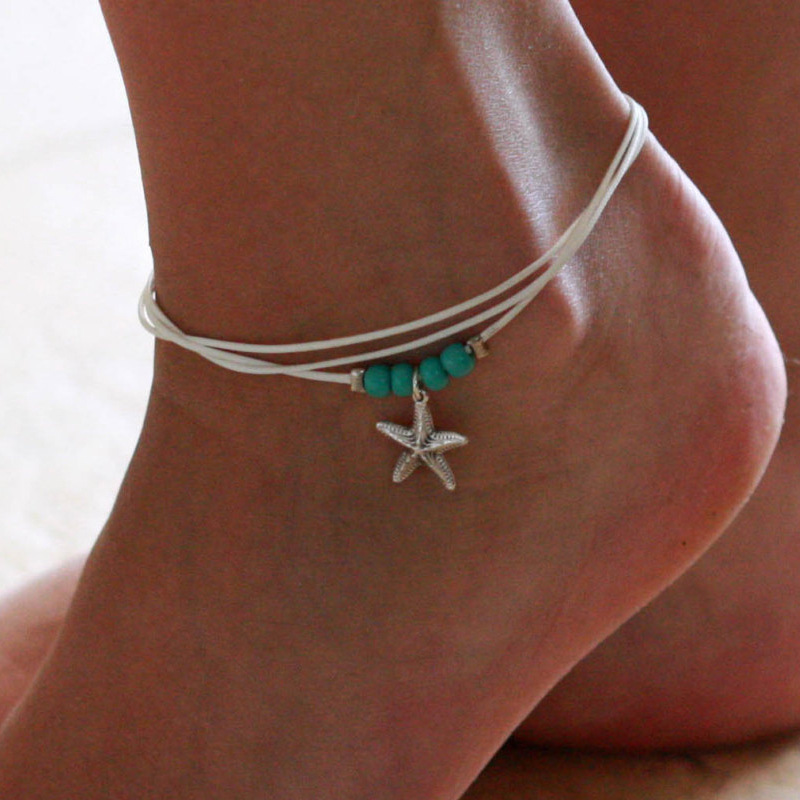 Anklets are the most common feet accessories, and we all do love them. To layer them the perfect way, find at least three different pieces slightly varying in size. Wear the longest one first and let it rest at the bottom and then add on the layer above it. Play with colors or patterns and make your own statement piece. Barefoot Sandals form a rather unpopularised segment of feet accessories, but they’re extremely beautiful when worn the right way. They’re an excellent wedding accessory or a beach wear add-on, which not only highlight your feet but also make you stand out in a crowd. And a bonus, if you’re a boho lover, cheers to you! Barefoot sandals look best in their bohemian version. So, if you’re going on a beach visit anytime soon, may be consider adding a pair of these feet accessories to your luggage. Toe rings are just adorable, and the best part being that you can wear them on a daily basis once you get used to it. The modern designs that are in trend right now are so beautiful it’s real hard to resist not getting one for yourself. Accessorizing apart, they get all the attention towards your beautiful feet and if you’re planning on beautifying your feet with some accessories, these are kind of essentials to buy. So, now you know, how you can beautify your feet with various jewellery accessories that are so much in trend. So, next time you go shopping, don’t forget keeping the list in mind to get one for yourself. This entry was posted in Accessory Addiction, Add the Bling, Essentially Yours, Miscellaneous, Shopping Spree, Surprise Me! and tagged feet accessories, Jewelry, jewelry addict.